Cost has always been a big part of the Kindle line’s appeal at the low end. Amazon’s very good at undercutting the competition, while still managing to provide a workhorse e-reader in the process. Of course, paying $90 for the device comes with a number of cut corners, not the least of which has been the device’s stubborn refusal to adopt the front lighting found on the rest of the line. Amazon’s just amended that oversight with the latest version of the standard Kindle. The device now features an adjustable front light, coupled with a touch 167 PPI display. Not to mention, that price includes Special Offers (i.e. those screen saver ads the company has been serving up for most of the life of the product). There are also free ebooks which readers can load up into the Kindle too. Details are documented here. Select from millions of books, newspapers, and audiobooks. Kindle holds thousands of titles so you can take your library with you. With Prime Reading, Prime members read free with unlimited access to over a thousand titles. Enjoy more books with Audible. Pair with Bluetooth headphones or speakers to switch seamlessly between reading and listening. LIMITED TIME OFFER : Enjoy 3 months of Kindle Unlimited FREE. Redemption instructions will be delivered via email after your order ships. No obligation to redeem. After 3 mos., subscription will auto-renew for $9.99 per month. In summary, BUY the special kindle by Amazon via BooksAvenue promo links for Free ebooks with forwarder service all summarized in this page. So there you go. All done at the lowest fee for the highest value. This promotion begins on 10th April. Register your interest and pre-order now. If you are a fan of Pilot pens, BooksAvenue has some good news for you! We have the promo code and through the link below, you will have 20% off. This is the time to load up your writing materials and reduce your costs. Make sure after you bought the pens, place it in cool dry place for maximum storage life for the pen. Save 20.0% on select products from Pilot with promo code, through 1/31 while supplies last. Yes we have a forum now! 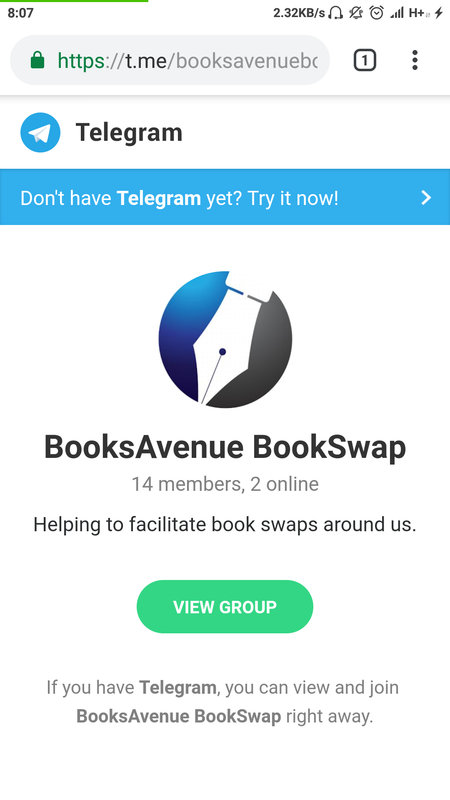 We have been trying to tackle the problem of creating a usable platform for all our friends and fans to post their Book Swap Requests, selling of second-hand books and all. With the forum, it will be able to fill the void that the reading community needs. In the past there used to be a website called, secondhandbooks.com.sg. But it seems that it’s gone and no more similar sites after that. As 2015 draws to a close, we would like to take this chance to wish all our readers and friends, Merry Xmas and a Happy 2016! Team BooksAvenue is preparing for 2016. Plans are drawn up and changes will be made. And we are ecstatic with the upcoming changes. 2015 has been a fruitful year for us. Many changes were introduced and more positive results were obtained, especially a higher spike in readership. This is a confirmation that we are on the right track! We are very motivated by such and will continue to work even harder to bring the literature world closer to you. Coming 2016, we will be changing our tagline, or slogan. Currently it is, “Our Books, Your Convenience”. As the retail side has been shut down, we think that this slogan is very much outdated. We will be coming up with a more relevant slogan to capture the epitome of our project, BooksAvenue. More will be revealed in the days to come. This will be accompanied with a change of logo too. Secondly, we are thrilled to announce that we will be venturing into the world Chinese paintings. Yes we will be selling Chinese paintings imported from all around the world, largely by Singapore and China artists. The paintings will be captured and displayed on our website, and Q0010 site too. That being said, we will be starting up a new section on our page to depict and explain ways to appreciate chinese paintings, the history and the artist. With effect from 1st January 2016, BooksAvenue will cease the online retail book sales. This helps to realign BooksAvenue’s core business to fulfill both local and international market’s demands. However, the previous posts of physical books will still be available for perusal.